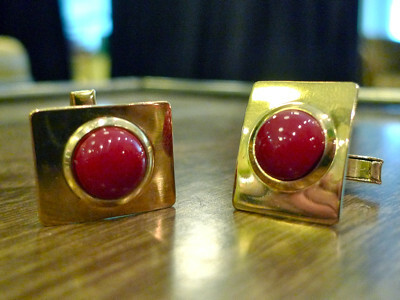 These vintage cufflinks would make a perfect X’mas gift for your man! Man oh man! Finally, something for the gentlemen! 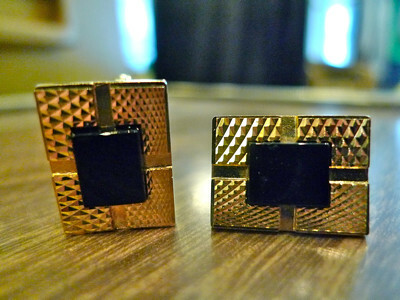 GDO presents: Cufflinks for the gentlemen! 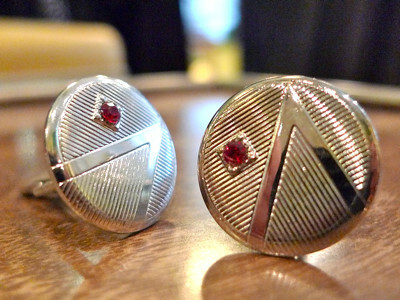 There’s something for every sartorially inclined man – whether he’s serious and no-nonsense, or flighty and flashy. 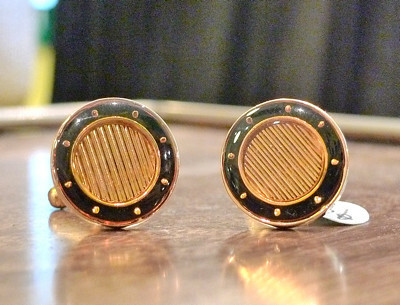 They make great gifts for the men in your life – your special someone, father, brother, or BFF! 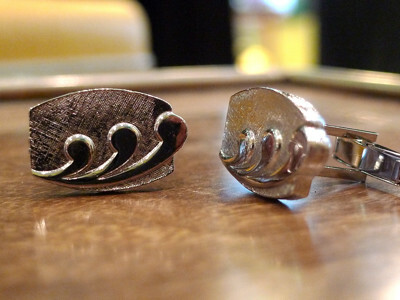 Plus, we wish they were earrings. 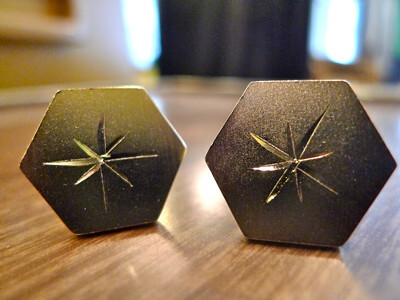 Fit for the stars: Gold hexagon cufflinks with carved stars from the 1970s. 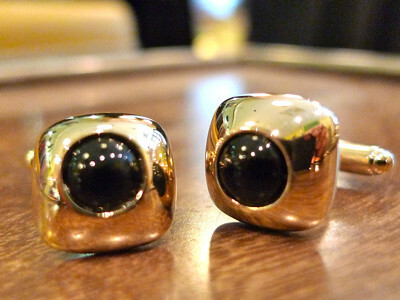 Goldtone faceted rectagular cufflinks with black onyx stones. 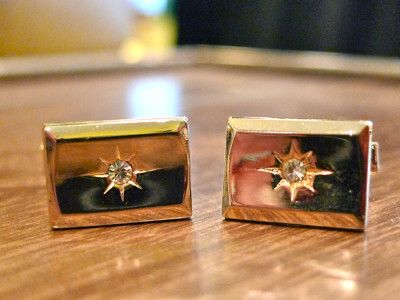 Simple rectangular cufflinks with diamonds embedded in a starburst design. 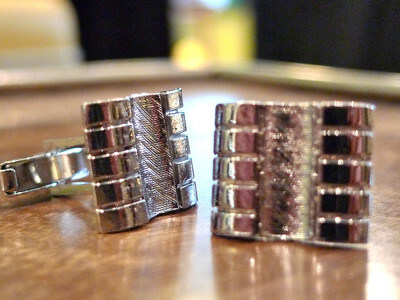 Quirky – looks a little like ship’s wheels. 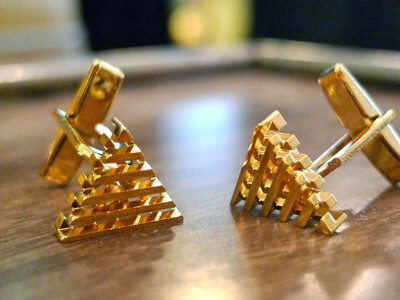 We love these – so quirky, so fun! 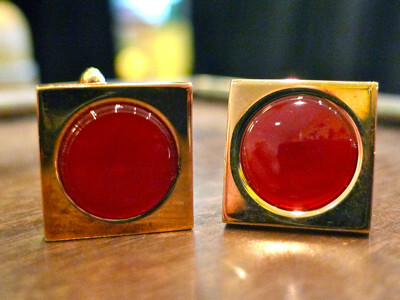 Bring out the Mad Men in him with these 1950s cufflinks. 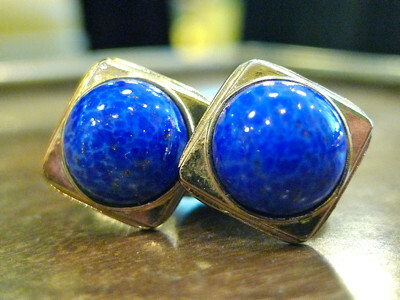 1950s pop-of -blue would go great with all those white and blue striped shirts! 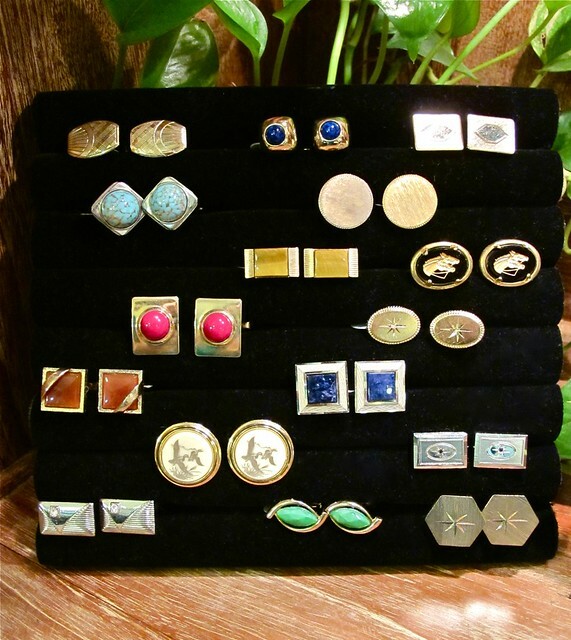 We love 1970s starburst designs – need we say more? This one is silver toned with a blue crystal embedded inside. Hold your horses! 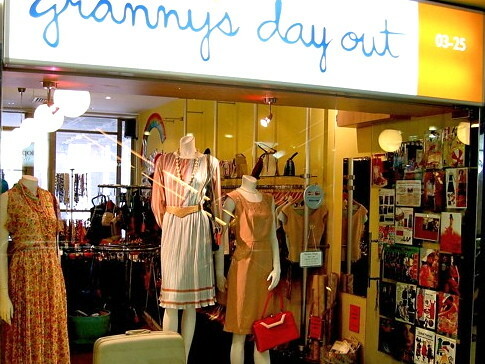 For the bold or creative types! 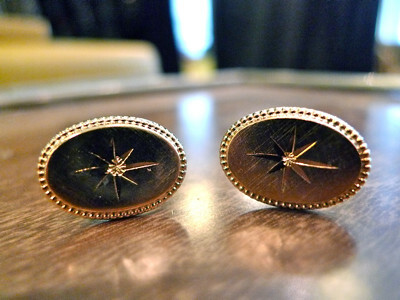 Oval starburst cufflinks – so old school! 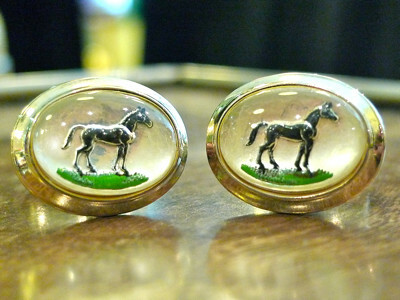 Live life a little, wear horses on your wrists! 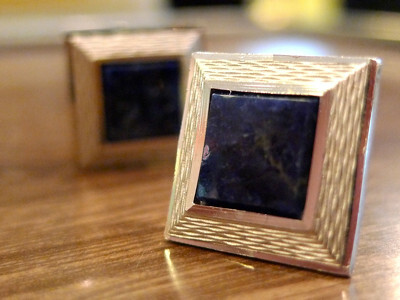 These look a little like empty photo frames – awesome! 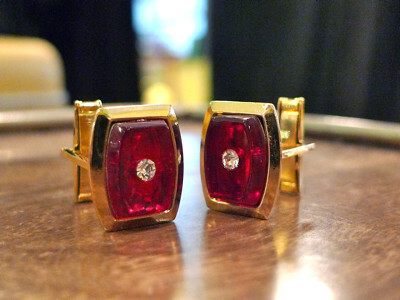 Unusual 1950s pair with a reddish brown stone and overlapping gold detail. They look like green eyes! 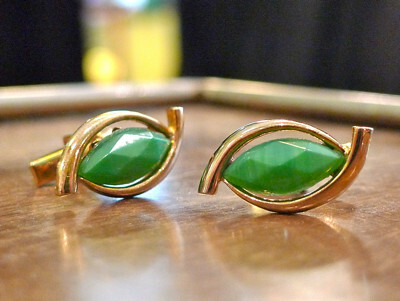 Yes, make his co-workers green with envy because he has these and they don’t! 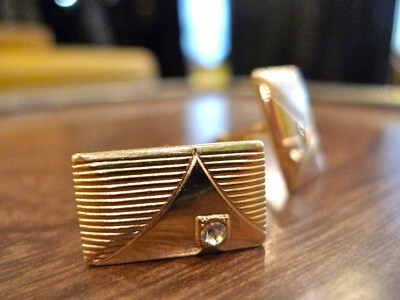 This shape reminds us of Toblerone! 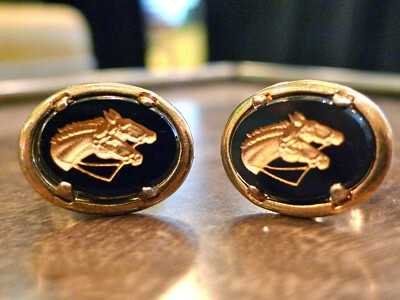 Classic and manly – cannot go wrong! 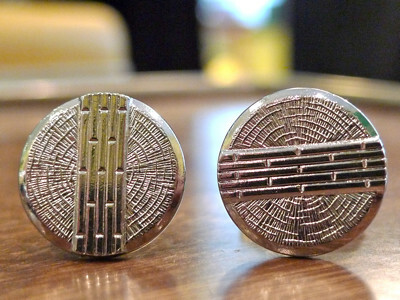 1950s dead stock cuff links – another favourite of ours! 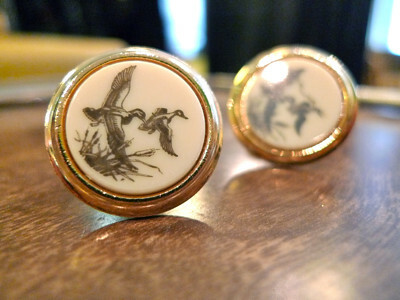 Take him on a flight of fancy with these birdies. Let’s ride the waves together! 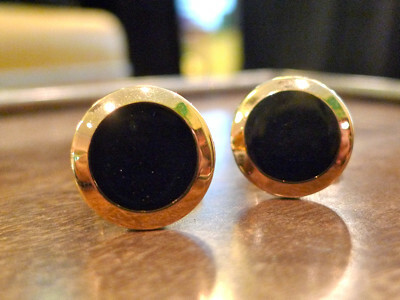 Classic pair with a black stone. 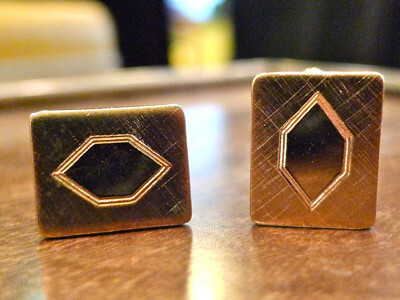 We love the squares with rounded corners! 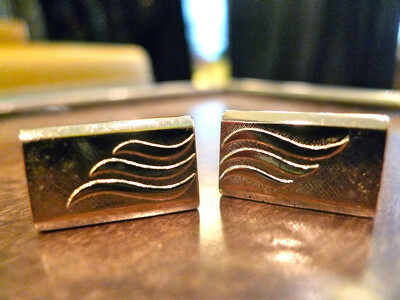 Art deco style cufflinks from the 1980s. These look like tire tracks. Wah, ho man wor! 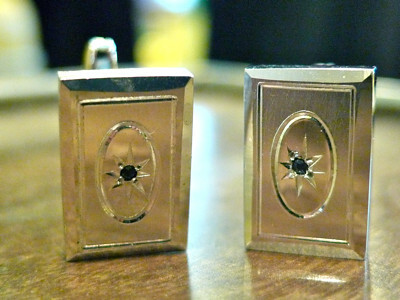 What do these remind you of? Very vaguely, Hokusai’s great wave! 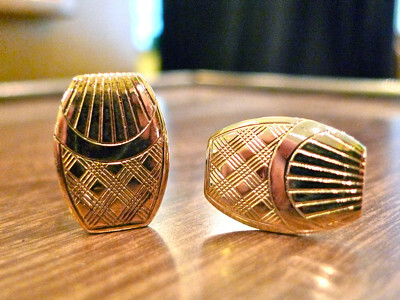 A chinois touch to an elegant pair. 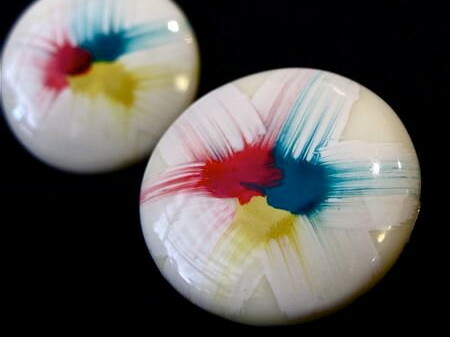 Make his co-workers blue with sadness because he has these and they don’t! 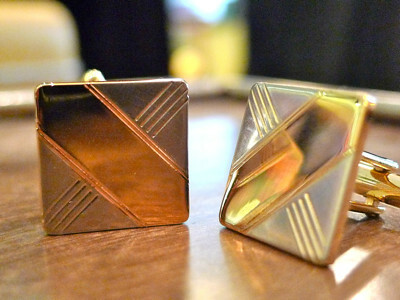 Art deco wins our hearts. 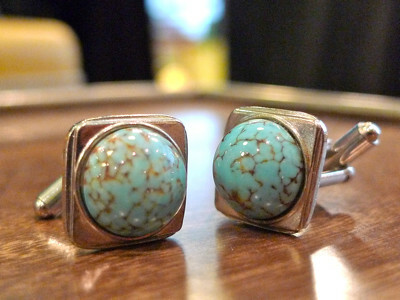 1950s turquoise stone cuff links. 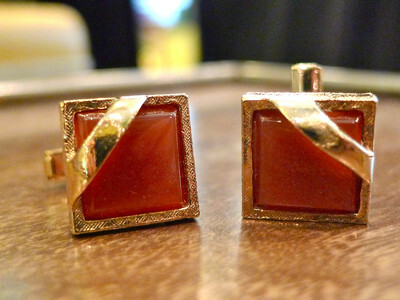 Anything that reminds us of Mad Men gets our thumbs up!